Immunization verification is the confirmation of correct dosage and spacing of required vaccinations to meet the compliance of state and institution guidelines, typically utilizing the recommendations of the CDC. How does Med+Proctor improve Immunizations compliance? 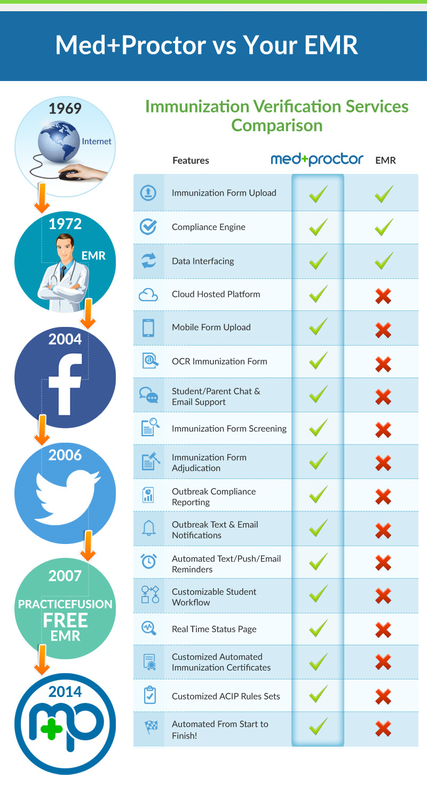 Med+Proctor is a fully automated electronic immunization verification platform that utilizes OCR technology and an open EMR interface to produce state of the art vaccination compliance and recording technology for universities and health systems, nationally.